Nine is no doubt another time traveling piece that is a sole contender for the time traveling genre in the year 2013. The writer also penned the time traveling hit drama of 2012 , Queen Inhyun’s Man,which took over the kdrama community by storm with the uniqueness of the story as well as the romance, but the ending of the drama left the fans divided between the logical and the illogical explanations of the time traveling. However, this time, Writer Song certainly have herself prepared well with the plot and after watching the final episode, I love how she had planned everything from the start to reach the final point of the story without really taking into consideration about the ratings or what the fans wanted. Well, maybe she did weigh those things before, but she didn’t sacrifice her story to satisfy the audience; instead, she focused on telling her story in the form of Park Sun-woo’s journey. The drama isn’t something logic to begin with since it deals with an imaginative subject, which is time travel. What I like more about this drama compared to its predecessor sister drama is that Nine forces the audience to think outside of the logic box; but then, it doesn’t mean that the audience doesn’t have any limit. It’s like the audience is given a scope, to think inside the Nine‘s logic box but they cannot think outside the given box in order to find an explanation about the travel. The only thing that they can do is to think based on the facts presented in the story and avoid any fantasy that might ruin the pleasure of finding the explanation, for instance thinking about logic. There’s no such thing as logic in fantasy, right? The ‘ticket’ for the journey to the past is incense stick found in Himalaya. The exact number of the sticks is unknown but at the beginning of the story, there are ten incense sticks: nine in the containers and another one from Jung-woo, which Sun-woo uses to retrieve the rest of the sticks. 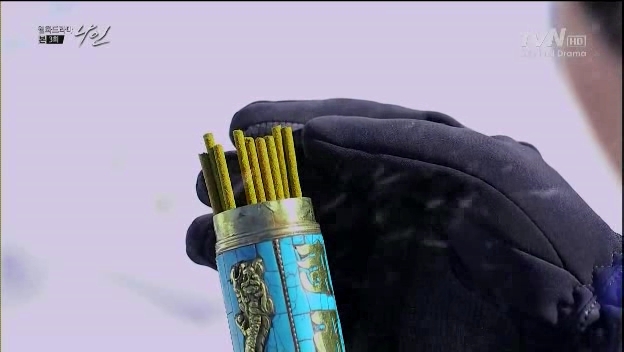 Each incense stick is 30 cm long. Each centimeter provides one minute of stay in the past, so one stick is equivalent to 30 minute-stay in the past. The stick is to be ignited and the one who ignites the stick will be transported to the past by disappearing from the present and appearing in the past like a smoke. The stick will transport the person who burns it to the past, 20 years back at the exact place he stay when he burns it. The person will be sent back to the present if the incense stick is extinguished, that is causing it to stop burning: either accidentally or the incense stick is finished. The person will be sent back to the first place where the stick was ignited, no matter how far he went from the original spot in the past. The effects can be seen live in the present, as soon as the people in the past act after each time travel happens. Only a few people associated with the travel will remember the life before the altered present caused by the travel. Park Sun-woo (Lee Jin-wook) is like the accidental time traveler: he isn’t the one who first found the incense sticks and it’s actually his brother Park Jung-woo (Jun No-min) who receives the first stick while he’s on his trip to Nepal, or to be more exact, Himalaya. He then tries to retrieve the rest of the sticks by going back to 20 years back but fails in the attempt and dies in January 2012. Sun-woo receives the news about his brother’s death and goes to Nepal on 15 December 2012 .He remembers the last time he met his brother in December 2011 before his brother went to Nepal and Jung-woo suddenly talked about going back to the time when their family was happy. Sun-woo is pretty shaken with Jung-woo’s sudden death and among his brother’s belongings was the incense stick which he tried to burn before he died. 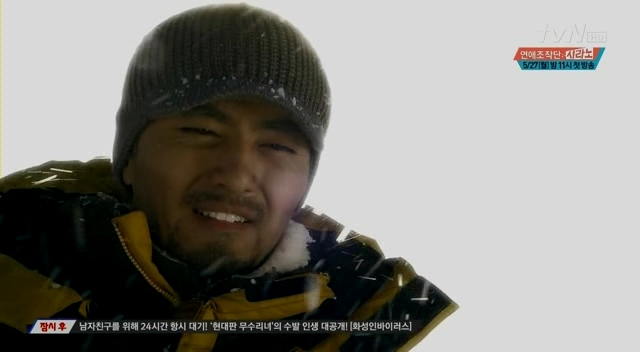 Sun-woo gets the first experience on the journey to the past when he lights up the stick and ends up on a snowy mountain instead of his warm bed, but he soon returns to the present when the stick is extinguished by itself. He goes back to Korea and lights up the same stick in his room to find himself in the same room, but 20 years before. He finds his mother who’s still normal unlike the present where she’s out of her mind, a younger version of Jung-woo, and his father, who’s still alive. Sun-woo is also hurt because of the broken fish tank glass in the past, but the cut is still intact when he returns to the present time. This is another additional rule of the travel, where the injuries sustained during the journey won’t disappear even when the traveler returns to the present. In the beginning of the drama, Sun-woo is diagnosed with brain cancer that has reached the final stage, where he can’t live for more than a year even with surgery conducted to remove the tumor. He thinks the weird things he experiences through the short journeys are just hallucinations on his side because of the tumor. He tells about the symptoms to his best friend who is also a doctor, Han Young-hoon (Lee Seung-joon). Besides that, Sun-woo also tells Young-hoon about the incense stick that he lights up every time he experiences the hallucinations and he thinks that the stick might contain some sort of drug to ease the pain, so that was probably why Jung-woo tried to light up the stick right before his death. However, he can’t let go of the fact that there’s something mysterious about the stick, like how he snaps out of his imagination once the stick is extinguished. His suspicion rises when the pager from the past is found inside his pocket and he accidentally brought it back when he put it in the pocket. This means that anything from the past that he holds onto or puts into his clothes will be transported back along with him to the present. The pager awakens the curiosity Sun-woo has regarding the incense stick, thus he decides to light up the stick to see what will happen to him. He goes back to the past, exactly 20 years back, and sees the date on the newspaper: 21 December 2012. The pager keeps beeping and Sun-woo, using the phone in the standby room in the broadcast station, calls the number and realizes that the person on the other end of the line is his younger self, the past Park Sun-woo (Park Hyung-sik) who was still in high school in 1992. This is another point worth to be analyzed: is it possible for two versions of the same person to coexist in a single time frame? In Nine, it’s possible. Remember what I said before? Anything is possible in the box of Nine but you cannot think out of the given box. It is possible, in this version of time travel, for the past and the present versions of a person to exist at the same time and Sun-woo is the first example. The past Sun-woo, who is the 18 year-old Sun-woo, is living in his own timeline and the present time Sun-woo, the 38 year-old Sun-woo, is also living in his own timeline; but then, the present Sun-woo gets the chance to visit the timeline of the past himself is living, since the timeline in the drama is regarded to move parallel to each other. The parallel timelines will make more sense at the end, so I’ll just leave the explanation until the end of this post. The timelines are parallel, but the past has the effects on the present. After the present Sun-woo makes the call to the past Sun-woo in the past and returns to the present, he then recalls the memory of his past self losing the pager and having the conversation with the past Young-hoon about the mysterious man who finds his pager. Just like the eighth rule of the travel (the effects can be seen live in the present, as soon as the people in the past act after each time travel happens), the present version will remember everything that the past version of him does after the travel, which means that changes will happen. 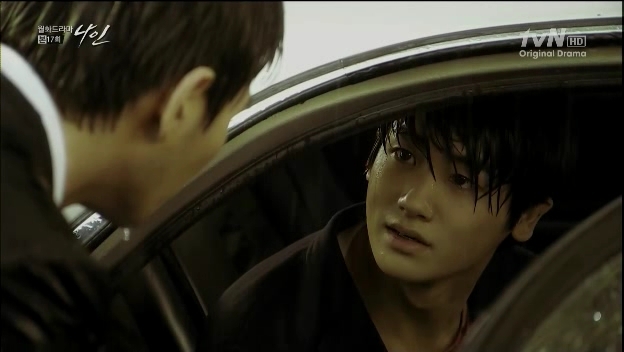 Sun-woo then confirms with Young-hoon that his friend also remembers the altered version of their memories, which is the conversation about the missing pager and the man. He also sees the diary the past Sun-woo writes about the call and remembers what Jung-woo said to him during their last meeting. 5 January 2012 was the date when Jung-woo went to Himalaya to find the rest of the incense sticks. He jotted down the place where the sticks were left at by a man who went back to the past and saved his family using one of the sticks before leaving the leftover at an inn. The inn was closed down and the only way to go there is to go back to the past. 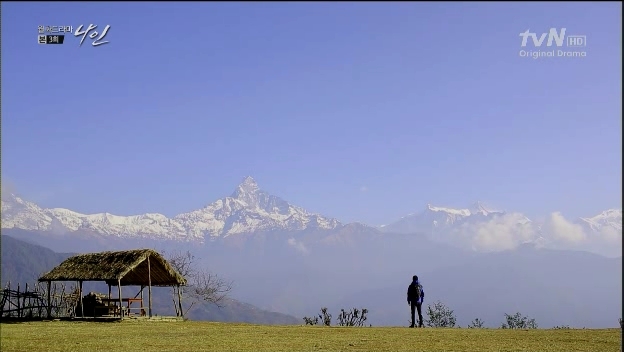 Sun-woo goes to Himalaya to find the place according to the note left by Jung-woo. Sun-woo believes that his brother died in his quest for the incense sticks in order to save their father who died on 30 December 2012. He himself is not sure whether it’s just his delusional thinking or hallucinations because of his tumor, but he wants to honor his brother’s death by continuing his quest. Unlike Jung-woo who went without any preparation, Sun-woo continues the journey and reaches the inn on 22 December 1992. He eventually finds the sticks hidden in one of the rooms and confirms that his reporter’s instinct is still intact and it’s not a mere hallucination with the incense sticks’ existence and the LP record of Whitney Houston’s I Will Always Love You that he accidentally brings with him to the present. This officially marks the beginning of the nine times time travel for Sun-woo using the nine incense sticks he successfully retrieves. At that time, Sun-woo is still unaware of the effects that the sticks will bring him and they will eventually change his present life, forever. 23 December 2012: Sun-woo doesn’t wait for too long and uses the first stick to go back to 23 December 1992. He thinks that Jung-woo wants to save their father with the stick and goes back to check the route to his father’s office at the hospital. He decides to visit his house and meets the past Jung-woo, drinking along and crying. The present Sun-woo then sends him home and finds a letter in the past Jung-woo’s pocket, addressed to a girl named Kim Yoo-jin. He copies the address and they reach the house at the same time their father, Director Park Chun-soo (Jun Guk-hwan) arrives at the gate. Sun-woo realizes that he didn’t know about the girl his brother was dating and his father was against it. 24 December 2012: Young-hoon is still bugging Sun-woo about admitting himself into the ward to start his treatment right away instead of working like there’s nothing wrong with his health. Sun-woo decides to tell Young-hoon about his ability to travel to the past using the second stick. He buys a Christmas card in 2012 and goes back to 1992 to send the card to the past Young-hoon (Lee Yi-kyung). He writes a message inside the card that doesn’t make sense to the past Young-hoon, who thinks that the past Sun-woo is just playing around with him. However, the memory comes to the present Young-hoon when he reads the email sent by the present Sun-woo together with Sun-woo’s recorded voice message before he embarked on the journey to find the sticks. Young-hoon’s reaction afterwards: priceless. It’s normal to feel surprised at the crazy thing happening then and he goes straight to Sun-woo for explanation. Sun-woo tells Young-hoon about the sticks and his ability to travel through time with them. Young-hoon finds it absurd but the memory is a solid proof that Sun-woo has traveled to the past in order to send him the card. Sun-woo tells him about his brother’s wish to save their father from the fire that broke out on 30 December 1992 and he knows why Jung-woo wanted to find the other sticks. Apart from saving their father, Sun-woo assumed that Jung-woo wanted to change the past with his girlfriend, Kim Yoo-jin. Sun-woo never knew that his brother dated someone in the past and Yoo-jin was a single mother with a daughter, so he knows why his father was against it. Young-hoon thinks it’s good if Sun-woo can give an early warning to the past Sun-woo about his tumour so that his younger self can take preventive measures through regular check-ups. However, Sun-woo wants to grant his brother’s wishes first before thinking about himself. See how selfless he is? He doesn’t think twice about his life and chooses to do what his dead brother might have done if he’s still alive. He goes back to the past probably in the afternoon to find Yoo-jin through the address he copied from Jung-woo’s letter, but unknown to him, the past Yoo-jin (Ga Deuk-hi) ate too much pills and passed out due to stress after reading Jung-woo’s break up letter. Sun-woo meets Yoon Shi-ah, Yoo-jin’s daughter and sends Yoo-jin to the hospital. He explains about Yoo-jin being upset about breaking up with Jung-woo to Shi-ah and gives her Jung-woo’s number for her to call and tell him about her mother’s condition. Sun-woo returns to the present and tells Young-hoon about it, but both of them cannot remember any changes that happened in the past. Sun-woo thinks the change might take place once Shi-ah calls his brother. Later that night, Sun-woo receives a call from the hospital where his mother is staying since he haven’t show up to visit her. He totally forgets about it and recalls that he stoop up the dinner with his mother on Christmas Eve 20 years back just to go for a movie date with his first love. His mother even caught him in the act after the lie he told her. Sun-woo feels bad about it and decides to recreate the memory for her. Hence, he goes back to 1992 for the third time on the same day right before the past Madam Son (Kim Hee-ryung) enters the cinema and intentionally breaks her glasses. He offers to pay for the replacement and follows her to the optometrist for a new pair of glasses. Unknown to her, the present Sun-woo prepares a necklace as a gift in place of the past Sun-woo and it makes her happy. The necklace is still worn by his mother to date and although she cannot talk, her memory is somehow altered and she now has a happier memory of the Christmas Eve. Sun-woo returns to 2012 and that is when the visible major changes start to take place. He gets to know that the girl he’s dating, Joo Min-young (Jo Yoon-hee), was actually the same Yoon Shi-ah who was Yoo-jin’s daughter. Before he can do anything, little Shi-ah in the past has called Jung-woo and the moment changes everything in the present, including Min-young’s existence. She literally disappears right before Sun-woo’s eyes. You want me to tell you the facts? When I heard that I was going to die soon, I had two things in my mind. One was my mother. “Who will take care of my mother after I’m gone? This isn’t good.” That’s what I thought. That’s why I looked for my brother, so that I could ask him to take care of my mother. The other was to have a hot bed scene with Joo Min Young before I die. Something like that. I was startled too. There are so many beautiful girls in the world. It was not the models in the ‘S’ folder in my computer. It was not the glamorous announcer that was hitting on me. Why did I feel that I couldn’t close my eyes until I get my chance to have a bed scene with Joo Min-young? You want me to tell you the fantasy version? For the last 5 years, Joo Min-young was just a junior at my work who still had a lot to learn, but her mind was always fixed on being a girl. When I learned that I was going to die soon, I realized that I had loved her for those 5 years. I realized that there was not a moment when I didn’t love her, but it’s already too late. So, I want to be with her for the remaining months to give her everything I can. If she knew that I was sick, I thought that I would never see the smile of the girl I love again. That’s why I wanted to keep it a secret. What importance does that smile have? I’m trying my best to be cheerful but I feel like I want to cry multiple times a day. It’s not just a smile,it’s everything to me. The scene might be a simple reasoning scene for Min-young but for Sun-woo, he actually looked sincere when he was telling her the fantasy version. He almost choked on his tears but managed to hide it from Min-young through his usual straightforward delivery, but Min-young could feel that the fantasy he told her was actually his own feelings. It makes my heart breaks for both of them, especially Sun-woo, who has to live with dual memories of his life: one with his girlfriend Joo Min-young and the other one with his niece Park Min-young. He soon learns that Min-young becomes his niece in the altered present since her mother gets married with Jung-woo and his brother puts her in the family registry, making Min-young his official daughter. Think it’s the end for Sun-woo? No. He has to suffer the blow/fact that Min-young doesn’t remember anything about him being her boyfriend and has no recollection or whatsoever about her life before the changes. Bummer. Poor Sun-woo. It’s like his selfless decision gives more harm instead of benefits to him. He wants to give the happiness to Jung-woo but ends up ripping away his own happiness. The most surprising thing is that the phone call Shi-ah made actually saved Jung-woo from death and he’s resurrected from his initial death. 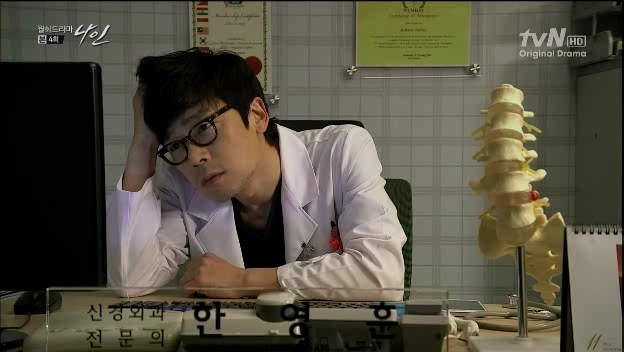 Young-hoon is the first to find out about the resurrected Jung-woo, who’s working at the hospital together with him. Both Sun-woo and Young-hoon start to ponder about the meaning behind the sticks and the changes they bring to the people around them: is it a gift or a curse? Sun-woo thinks it’s weird that Jung-woo didn’t die and he didn’t go to the Himalaya to get the incense sticks, but he still have the sticks and the LP record he retrieved from the journey he never made in the altered version of the present. Young-hoon thinks he has made a terrible mistake when he introduced Min-young to a resident at his hospital, Kang Seo-joon (Oh Min-suk) and they are dating. He suggests that Sun-woo travels back to the past to stop Jung-woo’s wedding from happening, but Sun-woo is hesitating because he thinks that the wedding was the reason why his brother is still alive. Young-hoon believes that the sticks were meant for Sun-woo to change his own destiny instead of trying to alter other people’s lives. Their past versions also realize that something weird is going on. The past Young-hoon is still wondering why the past Sun-woo sent him the Christmas card but the past Sun-woo can’t remember anything about it. Then, he realizes that his mother said that she got the necklace from him, while he never bought anything for her on Christmas Eve. Meanwhile, Sun-woo meets the new version of the resurrected Jung-woo, who seems to be normal on the outside. But then, he’s actually suffering from drug addiction and Sun-woo assumes that nothing will change except when his father is saved from his death. He tells Young-hoon about the plan, but Young-hoon thinks it’s changing against Sun-woo’s wishes because he’s trying to bring back the people who are supposed to die: first Jung-woo, and now his father. However, Sun-woo already sets his mind to save his father for the sake of his family’s happiness and also to prove that Choi Jin-chul was the one responsible for his father’s death. Choi Jin-chul (Jung Dong-hwan), or simply Chairman Choi, was regarded as the nemesis of Sun-woo’s family. He was originally a Vice Director at Myungse Hospital, which belonged to Director Park, but he failed to convince Director Park to join a biomedical research project. 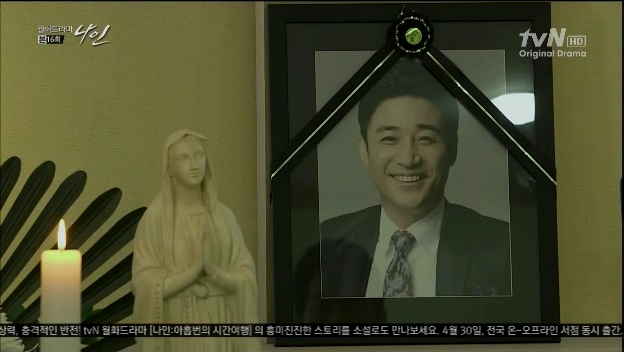 After Director Park was killed in a fire at the hospital, Choi took over the hospital and climbed the road towards his success without any interference. Sun-woo thought that Chairman Choi killed his father because the circumstances seemed to be staged for him to take over the hospital, although the investigation said otherwise. Sun-woo attacked Chairman Choi through the news about the ugly side of the research he conducted as part of his revenge plan, but the sticks give him another chance to prove that Chairman Choi was indeed his father’s killer. The fifth journey is made from his own room and Sun-woo reaches the room on the night of 30 December 1992. He introduces himself to the past Sun-woo and tries to convince him about saving his father from the fire that will happen later, but the younger him is too terrified and thinks that the present Sun-woo is trying to rob him. The past Sun-woo ends up calling his father anyway and Sun-woo takes the chance to set up the cameras in Director Park’s office to find the killer. He finds out something that he never imagined, that is the past Jung-woo (Seo Woo-jin) comes to the hospital right before the original time of the fire. Sun-woo is truly surprised since he never expects his brother to lie to him about meeting his father before his death, but the present Jung-woo refuses to admit it. Young-hoon tells Sun-woo about the news that stays the same and the only thing that has changed in the news about Director Park’s death is the time and date. They figure out that things didn’t really change since Sun-woo’s altered memory tells him that his father returned to the hospital and when he arrived there, the fire already broke out and he was injured while trying to save his father, just like the original memory he had before. It still bugs him that he still have some time left before the moment his father passed away in the past and decides it’s worth a shot, so Sun-woo runs out in the middle of his news coverage and travels again, only to find he’s too late. The past Jung-woo has been arguing with Director Park about Yoo-jin and Madam Son’s presence doesn’t make it better. Director Park accuses his wife of having Jung-woo out of her relationship with Chairman Choi and as a result, a fight occurs between the three of them, which ends up with Director Park being pushed by Jung-woo and hits his head on the floor. Jung-woo runs away instinctively and Sun-woo chases after him. He manages to catch the past Jung-woo but before he can do anything, he’s transported back to the present. Instead of going back to the past, the present Sun-woo goes straight to Jung-woo and punches him before passing out because of his sickness. He calls Jung-woo when he wakes up and lashes out his anger for the lies his brother told him for the past 20 years. Sun-woo vows that he will never forgive Jung-woo and goes back to the past to retrieve the video he recorded. He finds out about Chairman Choi’s presence right after he leaves chasing Jung-woo and Chairman Choi persuades his mother to make the accident as a fire in order to save Jung-woo from being inflicted as a murderer. It’s also convenient on his part as it will make his effort easier in getting the hospital for himself. Sun-woo loses all his hope to revive the happy family that he once had since it has changed a lot and decides to let go of the remaining two sticks by leaving them in the past. He still wants to find justice for his father’s death and sends the recorded video to Chairman Choi, just to make sure that he knows about the accusation on assisted murder. 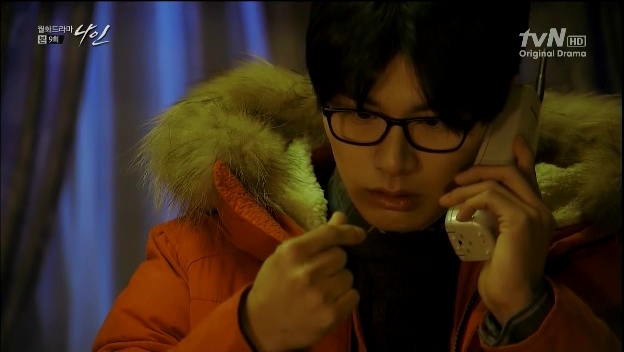 Young-hoon finds Sun-woo as soon as he receives the next voice message from him and Sun-woo’s condition has worsened. He realizes that nothing can be changed anymore since Sun-woo has thrown away the sticks, especially his friend’s health condition. He then schedules a surgery for Sun-woo, even with the small chance of survival. You know what? At this point, I am really glad that Sun-woo has a true friend like Young-hoon whom he can trust. The past Sun-woo also thinks the same, since he tells the past Young-hoon about the man who visited him on the night his father died and asks Young-hoon to wait for the man at the promised place. The man doesn’t turn up since the present Sun-woo is about to start his surgery that will be conducted personally by the present Young-hoon. The past Sun-woo suspects that the man, his future self, is dying and he can’t keep his promise because of that. At the same time in the present, Sun-woo is dying and even Young-hoon cannot save him. He tries his best, but there’s nothing that he can do anymore. Coincidentally, the past Young-hoon finds the pills that fell from the present Sun-woo’s pocket during his fight with the past Sun-woo and asks a doctor about the pills. The doctor tells him that the pills are medicine for brain tumor and the present changes with the altered past. Young-hoon finds the patient he conducted the surgery on and it turns out to be another person instead of Sun-woo. His friend is now on the news and Young-hoon flashes a wide grin, telling himself that he has saved Sun-woo this time. Yay for a brilliant friend! Several months has passed and Sun-woo is living well, except that he’s still experiencing the headache although he doesn’t have any sign of brain tumor thanks to the constant check ups and Young-hoon being cautious with his health. His past self still shows no sign of giving up on waiting for him to go back and leaves messages around the house, calling for him. Sun-woo can’t do anything since he has thrown away the sticks. However, the secret he’s been keeping to himself and Young-hoon starts to leak and he has the share in it. He’s not being cautious with his words with Min-young at times and keeps talking about things that seem absurd to Min-young, such as calling her Joo Min-young. Just like how Sun-woo’s pain doesn’t disappear even the changes, Min-young accidentally finds the missing memory of herself living as Joo Min-young through the message she left in the LP record. She slowly recalls the misplaced memory that shouldn’t be there, the memory of her together with her uncle Sun-woo. Min-young goes straight to Sun-woo to find out about it after getting into an argument with Seo-joon because of the message although they’re about to get married since the memory keeps bugging her. Sun-woo pretends that it’s just her fantasy and tells her to forget about it, but she can’t seem to let go of the vivid memory, even if the memory doesn’t have any place in the reality. He pushes her away since he doesn’t want to see Min-young experiencing the pain like him and at the same time, Young-hoon finds it weird that she remembers it even without any knowledge regarding the incense sticks. This proves that the ‘hanging memory’ will return to its owner if he or she remembers the experience that will link the person to the memory. Min-young keeps trying to find anything about their honeymoon trip at Nepal but nothing turns out; instead, she remembers the first kiss she shared with Sun-woo years back and he can’t stand seeing her hurting while trying to prove that they indeed share the memory. As Min-young collects the hanging memories one by one, the past is also working to have the effects on the present. Chairman Choi suddenly remembers that Madam Son told him about a man who witnessed Director Park’s death and after searching high and low for that man, the past Chairman Choi retrieved a video of Sun-woo during his visit to the optometrist, where Madam Son first met him. The past Sun-woo gets hold of the sticks found at the hospital since the container has his fingerprints and keeps them for the present Sun-woo to eventually find the incense sticks being returned to him. He decides to tell everything to Jung-woo and leaves for him to make the final decision, whether he wants to continue living in guilt, or surrender himself to the police in the past. After giving it a thought, Jung-woo thinks it’s best for him to admit his crime instead of living with the burden, but the past Chairman Choi is faster to meet the past Jung-woo in order to warn him about the present Sun-woo. He can’t give a warning to Sun-woo since he has left for the past to give the evidence to the past Jung-woo while being unaware of the danger that’s waiting for him over there. A journey that is thought to take a short time turns out to be a long travel from one place to another. Sun-woo heads straight to Yoo-jin’s record shop to persuade Jung-woo into turning himself in for the crime but Chairman Choi has met Jung-woo, giving him warning about the present Sun-woo who can blackmail him. Before he can do anything, Sun-woo is being chased by the same man who started the fire at the hospital, the man who is being hired by Chairman Choi to do his dirty jobs in the past. 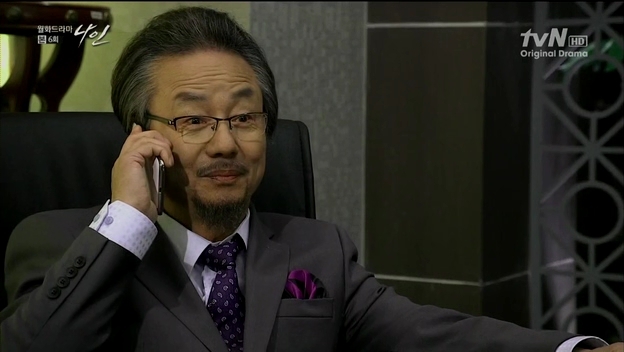 He manages to call Jung-woo to advise him into going to the police and leaves him the video of the recording that is enough to prove that Chairman Choi was involved, but the man stabs him in the phone booth. The car chase continues and they reach the bridge, where Sun-woo decides to jump into the river and returns to the standby room, all wet and bloody from the knife. Jung-woo remembers everything and he knows that the past him did turn in to the police together with the video. Chairman Choi now knows that the man in the past was too similar to the present Sun-woo, but the attack he ordered in the past is showing the effect in the present where Sun-woo is assumed to be stabbed by someone under Chairman Choi’s order. Jung-woo realizes that nothing changes even with his surrender to the police and soon the past Jung-woo knows that Chairman Choi has bribed the detective in charge and the video is now useless. Sun-woo’s getting stabbed for nothing and the present takes its worse turn when Seo-joon suspects Min-young of having a relationship with Sun-woo. Soon enough, the wedding around the corner is cancelled and the rumour about their relationship is floating around in the office. Min-young decides to resign and also chooses to stay as Sun-woo’s niece so that he won’t try to use the stick again and nothing will change. It’s not the best but the option that works for everyone. But then, Jung-woo’s guilt is already too big and he feels that he’s the one to blame for ruining Sun-woo and Min-young’s lives. He’s overdosed with the depression drug he has been taking and things aren’t looking good for him. Sun-woo gets to know that Jung-woo is indeed Chairman Choi’s son because his mother has been raped by him. Meanwhile, the man who stabs Sun-woo in the past has been identified: he’s Park Chang-min and he’s still alive, but he’s being arrested for the crime he committed 20 years ago. Chairman Choi finds it strange and it bugs him even more that Sun-woo admits to have a way to travel to the past, plus threatening to kill his past self. Jung-woo soon passes away, returning to the original state where he’s supposed to b dead, but this time, there are more people who mourn for him instead of Sun-woo alone. Min-young pleads for Sun-woo to go back and change the past, but the last stick disappears since it has been taken away from the past Sun-woo’s possession. Chairman Choi is the culprit in the past who holds onto the stick and the present him still have the stick. Sun-woo knows something is going on when the old man fakes out being unconscious during his court trial and wants to escape the trial in order for him to go to the past. He uses the stick to go back but his stay in the past only lasts for five minutes since Sun-woo extinguishes it and takes away the remaining stick. However, the short time is enough for Chairman Choi to give his to next order to the past Park, which is to kill the past Sun-woo. Time is running out for the past Sun-woo as he’s in danger but the present Sun-woo can’t seem to remember the exact location he was at, 20 years ago. Unlike the rest of the sticks, the ninth journey he’s about to make is not Sun-woo’s decision alone; he asks whether Min-young agree or not to his decision to stop his brother’s wedding and change the past before going back. He is well aware of the effects that the stick will have on their lives but he still wants to give it a try, as long as there’s some hope left for all of them. 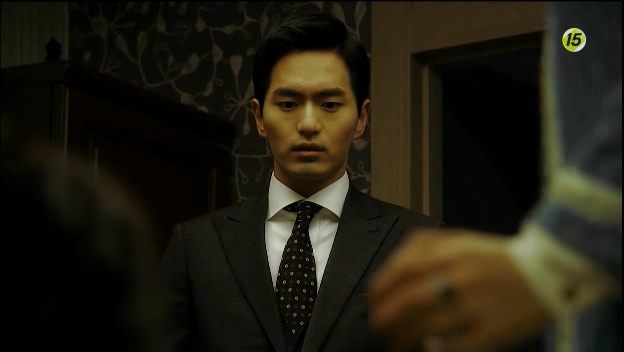 With her consent, he goes back to the past Chairman Choi and threatens him to find out where the past Park is. Past Sun-woo is actually on his way to Yoo-jin’s shop to find his brother’s passport right before the wedding, but the past Park manages to find him and starts attacking him. The present Sun-woo arrives at the shop just in time to stop Park from killing his past self and they finally meet each other after what seems to be four months in the past but technically, it’s been 20 years. Sun-woo does all these things in 25 minutes: saves his past self, sends him to meet someone at the police station with the video tape, informs Jung-woo about the proof that is on its way to the police, and eventually stops Jung-woo and Yoo-jin’s wedding. Don’t hate the killer. He had no choice. It’s no one’s fault. It will be hard for you to accept it right now but you will understand when you’re my age and that’s not going to ruin your future. You will have a good life regardless of that and you will be happy. The present is slowly changing along with the past. 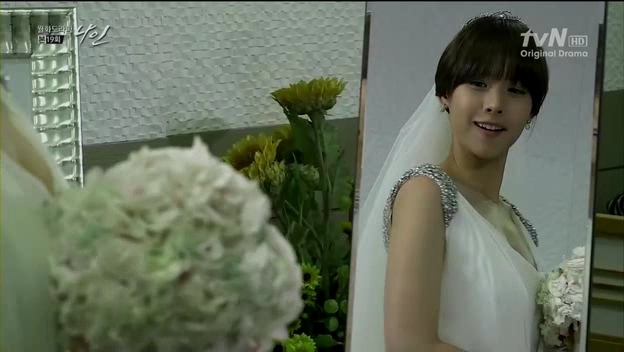 Min-young is back to being Joo Min-young and she’s about to get married to Sun-woo. Young-hoon is also attending the wedding together with other people. Jung-woo is resurrected to life for the second time, living as a doctor working with a medical volunteer service roaming around the globe. Chairman Choi is no longer a big shot; in fact, he lost his chance once he’s convicted for the murder and now owns a medical supply shop instead of a big company. The only person missing in the picture is the groom, Park Sun-woo. Isn’t it ironic that Sun-woo gets to see Min-young in the wedding dress when she’s about to get married to Seo-joon but he doesn’t get the chance to see her wearing the dress as his bride? Life is so unfair for him. He’s the winner and the king of the day, but he can’t enjoy the changes he has initiated with his exhausting travels. Why? Because of an unknown reason, he’s stuck in the past and as if it’s not bad enough for him, the past Chairman Choi finds him in the phone booth and runs into the damned phone booth, causing the present Sun-woo to be severely injured. He’s drenched in the rain and blood, trying to escape, but it’s useless since he’s stuck in the middle of nowhere. Before that, he manages to leave a message for the past Sun-woo. My last message to my past self, 20 years ago. I will be going back at noon. I can never come back here again. No matter what message you leave me, I can’t answer you back. So forget me, and live your life. You don’t need to find out how I lived, because every decision you make will make me. I told you right? You always made the right decision. You will have a good life, so forget about my existence.If you live every day the right way, then you will find me in the mirror after 20 years. I will see you in 20 years. My last message to myself 20 years later. Did you get back alright? I will trust you that I will understand my brother someday. I will also believe that I will always make the right decision. You seemed like a good person to me. You were also brave. I won’t leave a message to you again or try to find out what you are doing. I’m a man of my word. You know that right? I will see you 20 years later. Goodbye. 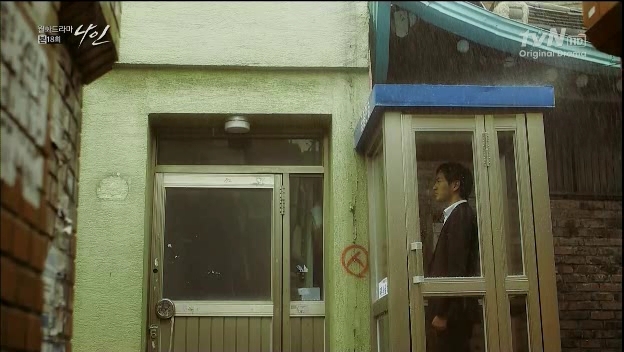 He is near Yoo-jin’s shop and little Shi-ah somehow ends up there to fetch her teddy bear. She recognizes him as the person who saved her mother and Sun-woo takes to opportunity to make her remember his face. He wants her to promise that she will avoid getting close with a man with similar face as his to spare her from getting her life ruined. In the present, Sun-woo is said to disappear, but Young-hoon knows that he might be trapped in the past. Jung-woo comes back after hearing about Sun-woo and finds out that Chairman Choi hit Sun-woo in the past. 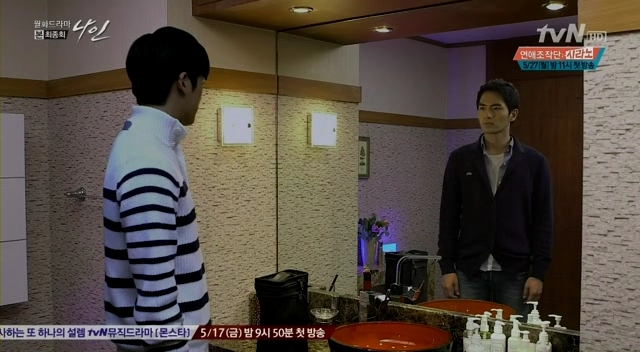 He is upset that both of them are killers and tells him the truth that he’s actually Chairman Choi’s son. Chairman Choi is taken aback and wants to meet him one more time, but Jung-woo refuses to see him anymore. Unfortunately, Chairman Choi meets with an accident and he passes away. As for Sun-woo, Young-hoon and Jung-woo try to find any record on a car accident on the same day 20 years ago and confirms that it was indeed Sun-woo, who was found dead back then. 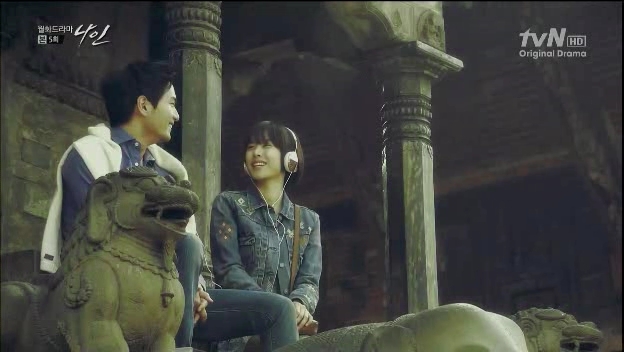 Min-young eventually recalls the memory as it starts to form in the past and realizes that Sun-woo died in the past. My past…it’s my life and my past but I don’t know what I was thinking back then. I can’t remember. So I have to read the journal every day to find out what I was thinking then. […] It’s like he and I are living different lives. I don’t know how long he will wait for me. I don’t know what he’s going to do next. I don’t know what he’s thinking at all. It’s weird, because he’s me. In the drama, there are two versions of the same person that exist at the same time, but they are living in their respective timelines. The original Sun-woo, or the present Sun-woo, is the one who initiates the time travel to go to the past, but the past isn’t actually his own past, that is his past on his own timeline. The past he’s visiting is on the new Sun-woo, or the past Sun-woo’s timeline and he cannot figure out exactly what the past Sun-woo is thinking when he’s in the past, because the past Sun-woo is like another version of him, a separate person. I can’t really figure out how the new timeline affects the original timeline when the characters make any decision, but it might be because they are somehow related, except that their journeys will be different to each other, depending on the circumstances. The original Sun-woo might be fated to die on 24 April 2013 because of his brain tumor, but the sticks manage to alter his life, except that the fate is more powerful and it’s past of the effect of the original life of his: because he has to die on that date. The present Sun-woo dies and as the time passes by, the past Sun-woo grows up to be the new Sun-woo and we can see how his life has not really changed much, except that he knows from the start that Jung-woo was the one who killed his father. The original Sun-woo introduces the past Sun-woo to Chief Oh Chul-min ( Uhm Hyo-sub), paving his career path as a reporter to start earlier and I can see how Chief Oh starts taking care of the original Sun-woo back then. On the new timeline, Jung-woo is living well and Min-young is also there, starting her work as a reporter at the station. She still remembers the promise she made to original Sun-woo and tries to stay away from the new Sun-woo, but fate draws them even closer to each other. Everyone who met the original Sun-woo 20 years ago still remembers him and the new Sun-woo realizes that his future self actually mapped his life since then. Looking into the mirror, the new Sun-woo can now see the man who visited him 20 years back. Remember the constant reference about the mirror? I think it symbolizes how our choices will mirror ourselves in the future. Make good choices and you’ll find yourself happy, make bad choices and you’ll find yourself suffering later. Although the new Sun-woo knows that the future him has died in the past, not because of the brain tumor like what he and the young Young-hoon predicted, he chooses to go on with his choices, simply because he believes that he will make good choices. Thus, the new Sun-woo embarks on a journey to Himalaya on 4 December 2012, on the new timeline. 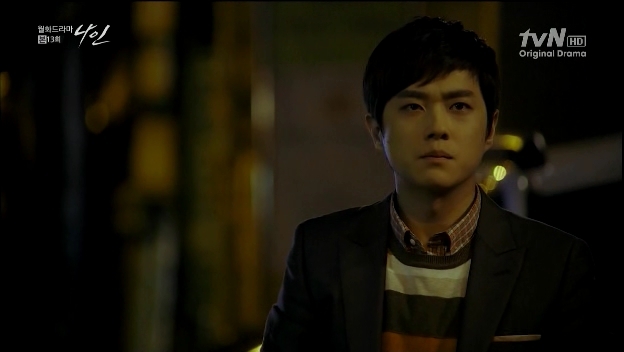 Instead of going there while grieving over Jung-woo’s death, this time, he’s going to pursue his love Joo Min-young. His words are the same as what the original Sun-woo said when he first found the incense sticks. Believe in the fantasies you want to believe and love the girl you want to love. I will just believe what I want to believe and I will just love the girl that I love. With every choice that the new Sun-woo has made, I believe somewhere along the way, the original Sun-woo is resurrected from his death. Instead of using the incense to save his father, the original Sun-woo knows that it’s useless and he keeps them for another time, which is probably to save his brother from his death in Himalaya. Remember in episode 1, where a figure approached Jung-woo when he falls down? That person might be the original Sun-woo, who has been living well and only decides to help Jung-woo, since he’s from the further future. Amazing. It’s truly a remarkable experience to watch this rare gem of a drama and I won’t forget it in the nearest time. I’ll probably remember it as one of the most brilliant dramas ever written for a genre like this and the ending leaves me feeling happy, but there’s a lingering sadness that it has ended. I can’t believe I actually watched the drama all over again in one night after finishing the last episode because the drama makes more sense with the ending. It’s like watching an opening at a closure and there’s so much things left to be explained. It’s like an endless circle, where the ending will make you watch the first episode all over again and it will be an evil cycle of trying to decipher everything. I should stop here before I start making my own evil cycle…. Nine. Watch it. Fact or fantasy? You decide. Oh, and be prepared. You’re going to have bad experience with phone booths after this drama. Phone booth is a scary place. a wonderful review that does the show justice!! So happy you also watched and finished this! It has been a wonderful journey indeed. Like you, I will marathon this again for sure. SJJ and KBS had proven how NIne can be fully isolated to QIHM. Which is rare for Writer-PD tandems in kdrama, specially if we talk about sequels. There are many possibilities on who is the SW who rescued JW. Amazingly, the answers are in the series itself. You just have to fill in the spots to complete the circle. wonderful review for one of the most amazing dramas! thank you!!! i can’t tell you how much i love Nine, and the people who lives in the Nine “box”. Of course PSW is my favorite, he’s just so good to be true and yet he feels so real. His relationship with everyone in the show: his hyung, his best friend, his boss and YMY are priceless, he loves and care for them so much… and that’s why they love him back so much. His relationship with his younger self is really sweet and i’m happy they have their closure. the ending gives us a happy SW who know himself and decides he will make his future a happy one with the ones he loves. i must thank the writer for making this drama, the actors for given us amazing characters, i’m so grateful i joined the amazing journey of PSW in Nine!!! Excellent review!!! I’m still sad it has ended but it was one of the best dramas I have seen. The story,directing,characters and the acting was really good. Lee Ji-wook was exceptional as Sun-woo and his kisisng skills are top notch(LOL). I’m officially a fan of the writer, QIHM and Nine are on my all-time TOP 5 dramas. Will be looking forward for his new project!!! I’m really glad you did a review (which was an excellent review btw) cuz I don’t know if anyone paid attention to this show given the lack of recaps/reviews out there in kdrama land. I really hope the couple gets more exposure from this show- it was beautifully and smartly done as well as entertaining and sad as hell. With the ridiculous amount of melodramas out there the past few months I have finally found one that I actually felt something for.. something other than anger at the character’s stupidity and annoying Misunderstandings. I think I cried more in the first few episodes in this series than I have at anything else I’ve watched for the past year. I really liked how you explained the ‘think outside the box but inside the Nine box’ cuz that makes total sense (sometimes I forget the Nine box part lol). Great review! I immensely loved it!!!!!!!!!!!!!! the ending was what I needed to understand and you have explained it beautifully I still do not understand why this drama has not gain much audience I really think like you it is the best one I have seen the story is truly amazing!!!! Wow! I am impressed. What a labor of love this piece is. Yes, I also think this is one of the best series ever. I do have a question that occurred to me today. What happens in the timeline where SW doesn’t show up to his wedding, and goes and dies in the past? Does he never appear again? It has to be that, right? I think in the original timeline, before the past SW grows up, the present SW dies in the past and he never appear again (probably regarded as 'missing' for other people who don't know about his time travel. But then, I assume that with every decision made by the past SW as he grows up, there will be changes and the original/ present SW might have been resurrected, just like what happened to the present JW twice. And the final scene happens when the present SW will never attempt to find the rest of the sticks even after the present JW died in Himalaya (again). This is because he still has the memories of the travels and he knows what will happen, so he will use the only stick that JW had in his possession to save JW, 20 years later. That's why the SW in the final scene looks older with beard etc, because he's the original SW that has reached 58 in his timeline. So I believe our SW is still alive, living happily with MY even though the drama doesn't show how their lives afterwards. I still think it’s the new (formerly Past) SW who returns to save JW 20 years later. He too would be 58 in his timeline. He is “the man who used one stick to save his family” and left the rest behind, because he knew that all of original SW’s trips back to the past resulted in his death. I also don’t have the grief about “original” SW not being with original MY, because they really are the same person. New SW knows he’s going to die (from the last time travel this time, rather than from the brain tumor), so makes a different, simpler choice, to use just the one stick, 20 years later, to save JW. Since all the important changes were already made in 1992-3, that’s all he needs to do. So the only SW there is lives on, with all the changes that he made for himself and those he loved. As “original” SW said, “See you in 10 years.” He wasn’t talking about himself meeting himself in 2 different bodies!! I don’t know if I’m saying that in a way that makes sense to anyone else, but that’s what makes sense to me. He is “the man who used one stick to save his family” and left the rest behind, because he knew that all of original SW’s trips back to the past resulted in his death. I’m glad that makes sense to you, too! As far as I can tell, there aren’t ANY throw-away lines in this drama – it’s really tight – flash-forwards from the very beginning, every line a clue. Truly great drama. Thank you for this wonderful article! Nine is the best drama I’ve seen till now and you truly do it justice. I too got the impression that he was the man who saved his family with just the one incense stick but I need to back to watch the first episode to really figure it all out. Hell, I need to rewatch the entire thing! I’m glad I found your blog through dramabeans and was convinced to watch this show by your first impression review. I was originally planning to just based on how much I loved QIHM but had forgotten about it. I am honestly also shocked I haven’t seen anyone really mention it around the net. Definitely looking forward to what this writer comes up with next seeing how great their previous two works were. I just hope they keep up their tendency to include lots of make-out sessions with the next OTP. So much better than the usual chaste lip press us kdrama fans get and obviously more realistic. Don’t worry, rewatching it for several times is totally normal. I did it too!